TAP Air Portugal is growing their transatlantic route network significantly this year. This is largely thanks to the airline acquiring new aircraft which will fuel this growth. This includes the airline getting 20 Airbus A330-900neo aircraft plus 14 Airbus A321LR aircraft. In 2019 alone, the airline is adding service from Lisbon to Chicago, San Francisco, and Washington. On top of that, the airline is adding flights from Porto to Newark, which will be the first transatlantic route with the A321LR. Given the pace at which the airline is growing, I’ve been wondering what’s next for them. Well, TAP Air Portugal’s Chairman of the Board, Miguel Frasquilho, has just given us a glimpse of what’s to come during a recent speech. 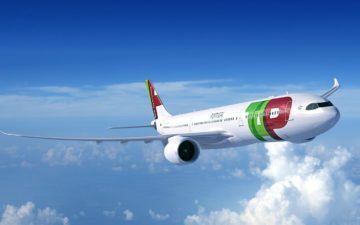 According to him, in 2020 TAP Air Portugal intends to expand their transatlantic network by adding flights to Atlanta, Houston, Los Angeles, and Montreal. As a reminder, TAP already flies to Boston, Miami, New York JFK, Newark, and Toronto in addition to the three destinations they’re adding this year. We’ll see whether or not all four of these routes actually happen in 2020 — it’s not uncommon that airlines have goals, and then don’t completely follow through on them. However, this expansion mostly seems reasonable enough. All of TAP’s expansion this year is to United hubs, and it seems they’re continuing that trend in 2020, by adding flights to Houston and Los Angeles. Montreal makes sense, since it’s a destination that can be served by an A321LR, and presumably there’s a good amount of demand there. Furthermore, Air Canada is in Star Alliance, so they’ll have some feed. It’s the Atlanta route that doesn’t make much sense to me. Atlanta is a massive airport, but that’s due to Delta. Delta doesn’t even fly nonstop to Lisbon from there, and if they can’t make it work, I question how TAP can make it work with virtually no feed at the airport. I’m happy to see TAP expanding their transatlantic operations rapidly, giving the excellent fares and good award availability they offer. Add in their new planes featuring excellent fully flat seats, and flying with them makes more sense than ever before. Their strategy seems to mostly be to add service to Star Alliance hubs. It’s the Atlanta route that’s the wild card here. What city would you most like to see TAP add service to? Re: the EWR to Porto flight, I think it’s more accurate to say they are increasing frequency, as this route has been in operation for some time (though with older aircraft). J fares on their new A339neos from SFO look pretty decent, especially compared to their *A partners. Definitely worth keeping an eye on. ATL makes no sense. While there is a significant natural O&D market tied to the large corporations in the Atlanta metro area, there is no Star feed there and the A330-NEO seems like way to much plane for this market. Delta will run them off. I would enjoy any competition to Delta out of Atl. I don’t know if they can make it work, it would be nice to have the lower fares for a while. They’re also getting a decent amount of B6 feed, but none of those airports are going to have any B6 feed. Their prices are so cheap that they won’t have trouble filling seats – the problem would be making a profit. I really wonder what they’re going to do with that many A321LRs. Denver would be awesome for them to add flights. With this level of growth, I’d imagine that TAP”s hub airport will require some expansion (or at least investment) to handle all of the new flights and passengers that would theoretically be connecting via LIS. ATL has a seasonal route to LIS on DL. However this is exciting news as we are starved for a low-cost option to Europe. We rarely see any deals/cheap airfare from here due to DL having us on lockdown. I think this route can perform well given the sizeable ATL and surrounding area population and the connections TAP provides beyond LIS. LAX to LIS. I likey. Time to keep earning UR so I can book via United. Montreal really is on a roll lately. ATL really needs to Tap Portugal. No Delta flight from Atlanta to Lisbon. My list of carriers that ought to start flights to Atlanta. Kenya Airways- no Delta service from Atlanta to Nairobi. Austrian Airlines- More European airlines. Again no service from Atlanta to Vienna. Well.. Delta flies to Ponta Delgada. @MA ATL-LIS got cancelled and moved to BOS. Turkish flies mostly to United hubs but they have been flying to ATL for several years now. I guess they made it work so there may be demand for TAP Portugal service from that airport. Houston I get. Montréal I get. Not sure about LAX, tbh. I feel like Vancouver would’ve made more sense because at least it’d be an Air Canada hub. I feel like someone’s gonna get fired for suggesting Atlanta. Thumbs up for LAX. Always good to have more *A options transatlantic. –Any word yet on frequency? –How is LIS for connecting traffic? I’ve only ever started/ended a trip there. Tap flew to LAX in the 80’s and 90’s…good to see them back. They use to use L15’s back in the day. Delta flies from ATL to LIS seasonally, I believe. ATL makes sense if you ask me… it’s one of the largest metro areas in the US with a huge concentration of Fortune 500 companies. 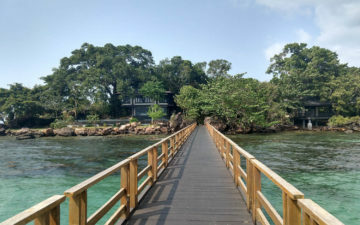 LIS is also a logical connecting point to a number of West African cities that DL doesn’t serve from ATL, and I believe the African community around ATL is pretty substantial. Wonder if they’ll get into the business of connecting people to South Asia. ATL doesn’t make sense as much as QR flying to ATL and still flying there. Wonder how QR is doing in ATL. Surprised IAD isn’t on that list. @PW I think the number of a321lrs isn’t that big. I think they should be able to disperse them fairly easily across their TATL network. And in case that weren’t to work out, they can always expand their already decent presence in Africa. @ Ben — Awesome news on ATL. More flat beds from ATL + low prices from TAP + DL fare war = awesome! Not sure why everyone is hating on ATL route. It worked reasonably well for Delta in 2018; however, starting in 2019 they transferred the route to BOS. I think it makes sense to add this route so long as Delta doesn’t re-consider and bring back the ATL:LIS route. ATL, despite its huge list of international destinations, is under served by international carriers given Delta/Skyteam’s near monopoly at the airport. I for one would love to see some “odd birds” flying in and out of ATL among the flock of DL with the random Korean Air, AirFrance, or KLM. @George – I really want to try out DL’s service to Ponta Delgada but it’s not in the cards this year and may go the way of LIS in 2020. @ ABC – maybe because they are starting IAD in June this year and this article is about 2020 new routes? I think there is plenty of room for TAP at ATL. There are plenty of people, like myself, desperate for some DL competition. INTL fares are ridiculous out of ATL because DL either controls the route or partners with the operator of the route. Bring on more no ST airlines; I’m tired of connecting through JFK to get to Europe. DL only flies from JFK to Ponta Delgado, not from ATL. As an ATL based flier, I would welcome other choices. They have moved so many of their European routes to JFK over the years and Asia is being filled out of SEA, DTW, and LAX these days. The thought of having to connect thru JFK to go to so many destinations in Europe really annoys me to no end. It is almost like they don’t think ATL is that important anymore which is disappointing. I can’t say overall, but I know many people who fly QR from there now and happily dumped DL. The market is ripe for the taking, since they have reduced many international flights out of ATL and many locals are fed up by that. Bring on more choices, and this coming from a loyal DL flier. Bought April 27, 2019 flight LIS-JFK couple of months ago when it was advertised as a330neo. However, they changed it to regular a330 in late Feb. I requested for refund due to around $400 diff. Still waiting for that refund. Here is my list of carriers that ought start flights to Atlanta. Emirates- no Delta service from Atlanta to Dubai. Royal Air Maroc- rapidly growing airline. No Delta service Atlanta to Morocco. SAS- no Delta flights from ATL to any of the Scandinavia countries. Sun Country- fasting growing airline in the US. Have competition between Delta. Hawaiian- More Hawaii flights besides Delta. Swiss- Bring back Swiss to Atlanta. China Eastern Airlines- more flights to China. Delta and China Eastern are Skyteam partners. Aerolineas Argentinas- Delta and Aerolineas Argentinas are both Skyteam partners. Norwegian Air Shuttle- fasted growing low cost carrier. More flights to Scandinavia. If TAP offer even slightly cheap fares out of ATL, they will thrive, since we are starved for transatlantic competition. The only airports served by non-skyteam carriers are FRA and LHR. I could see tons of Atlantans opting to connect into continental Europe via LIS on TAP. O/D from ATL to Europe is big enough anyway with the high population and huge number of companies here. BA, TK, QR, and LH all fly to Atlanta, so why not TP? @ABC – that’s because IAD starts in June this year and was covered by Ben late last year. This article is about new 2020 routes. Currently. TAP also offers like a few other airlines with less popular destinations, the ability to make Lisbon a free “stopover” on the way to your final destination in Europe, as long as you stay fewer than 5 days, the fare is what it would be to your final destination only. They entice you because they know you’ll want to return. THE LIS-ATL route looks viable to me. TAP has been positioning themselves with some aggressive transatlantic fares recently oout of NYC, BOS and MIA. I would welcome the chance to get lower fares from ATL to Europe. Just look what we have to pay Delta for non-stop service. I would not mind connecting through LIS to save some nice green. Qatar, Lufthansa, British Airway, and Turkish Airlines – none of which are Delta Skyteam partners seems to be doing well from Atlanta. I expect TAP will do the same. When will Emirates start service to Atlanta. The Super Bowl and Atlanta United Championship is drawing alot of interest to Atlanta. Can’t TAP make Atlanta work with its own feed at Lisbon? It would be nice if when you posted an article like this, you also posted a link to a previous post where you discussed TAP, who their airline and transfer partners are, and redemption tips.